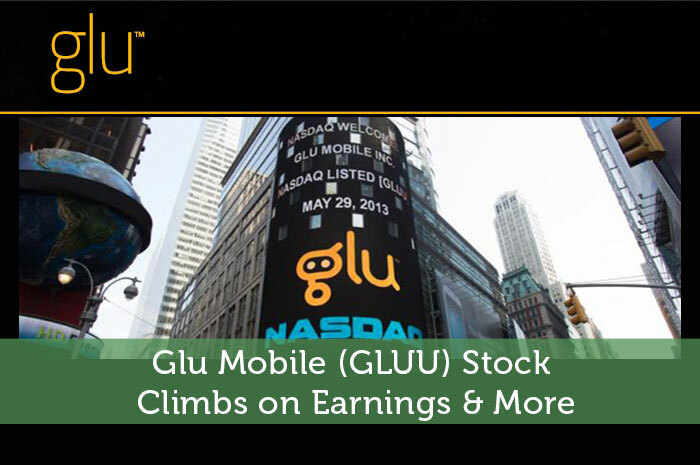 Earnings – For the fourth quarter, analysts expected for GLUU to report a loss in the amount of $0.03 per share. However, the company blew away these expectations by producing positive earnings in the amount of $0.02 per share. Revenue – GLUU also reported very strong revenue for the fourth quarter. While analysts expected the company to produce revenue in the amount of $50.2 million, the company actually reported revenue for the quarter in the amount of $57.9 million. As investors, we know that positive news generally has a positive effect on the stock the news is about, that’s exactly what we’re seeing from GLUU as a result of both the strong earnings and the fact that the company has partnered with the iconic singer, Taylor Swift. Currently (3:14), GLUU is trading at $2.59 per share after a gain of $0.58 per share or 28.86% so far today. Moving forward, I have an overwhelmingly bullish opinion of what we can expect to see from GLUU. However, it’s important to remember that price movement in the market tends to happen through a series of overreactions. While gains are justified, I’m not sure a gain near 30% will hold up. As a result, I’m expecting to see a slight correction in the market tomorrow, bringing GLUU down to a more sustainable rate. Nonetheless, the company has proven its ability to profit, and with the new partnership, I’m expecting for profits to grow further. All in all, things are looking great for Glu Mobile. Where do you think GLUU is headed and why? Let us know your opinion in the comments below!